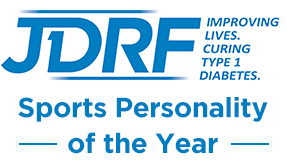 Cardiff Bay Beach 2015 | Life, Sport and Diabetes - An everyday look at my life with type 1 diabetes. The Bay Beach has become an annual event Cardiff, that started a few years ago in the capital city of Wales. The summer calendar is a really busy one for Cardiff Bay, not so long ago I was blogging about the Food Festival and the Extreme Sailing Series. Now the schools have broken up for the holidays, the beach and amusements have arrived, and will be here until the first week of September. Today the weather was good, so we headed down to the beach to soak up the sunshine and atmosphere. The beach event is free to enter and takes place in the center of Roald Dahl Plass, which is located in the heart of the bay between the Pier Head building and the restaurants located near Mermaid Quay and the harbour. The actual beach, which has sand, deck chairs and bucket and spade essentials is just part of the many things both free and with a fee that are available to do. There are also traditional fair ground amusements including a merry-go-round, ferris wheel and a helter skelter. We had a go on the swings, which might sound tame- but once into its stride, the ride has you soaring above the harbour- so much so it almost feels like you're swinging across the water! After all that excitement and sunshine it was soon time to rehydrate and take in the summer sounds of Duo Flex steel pan group, who are two great performers, covering modern and traditional songs on the steel pans. I particularly loved their steel pan version of Happy, it helped create a fantastic summer vibe at the beach and there was a big crowd listening to them today. For older revelers there were also a number of bars surrounding the stage, selling caribbean looking cocktails which seemed to be very popular. There were also other music stages dotted around the harbour with live acts performing different styles of music, along with the regular array of funky restaurants and bars located in the bay. It was a lovely way to spend the afternoon and the event provided bay-side fun for all the family!